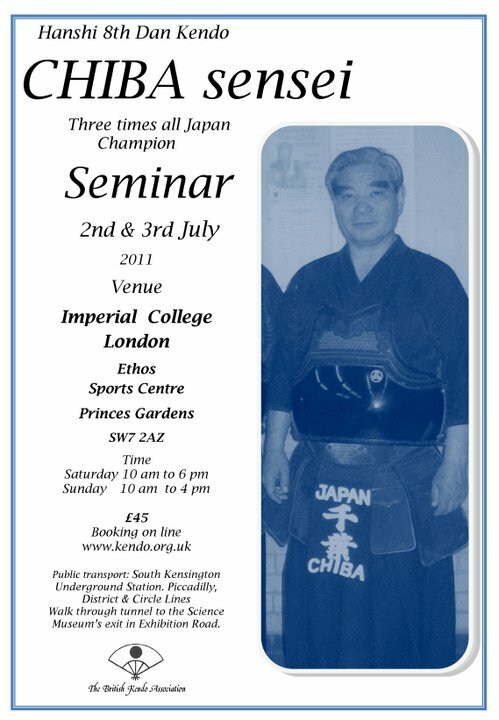 We are also pleased to advise that Chiba 8th Dan will be practising at Nenriki Dojo on Friday 1st July. Practice that night 6:30-8:30pm will be open to all and will be free of charge – please tell all your kendo friends. We look forward to seeing many new and old friends in the dojo.